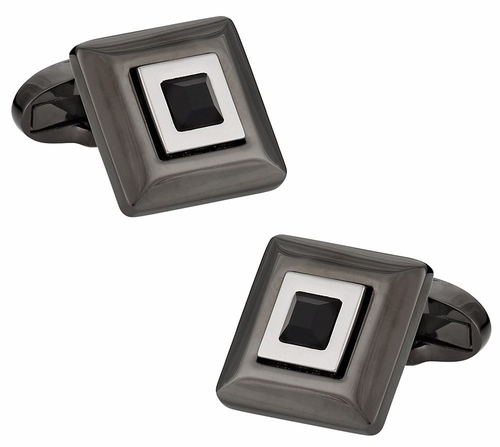 There is something so visually appealing about these cufflinks that feature alternating colors with a black crystal bullseye. The look like they cost upwards of $100, but remember, we are Cuff-Daddy so you're looking at the best price. Arrives in a handsome gift box.